The dollar is hitting all time lows and ECB is calling the Euro “inspiring”. One hopes that there was a misunderstanding in the choice of words or the translation because calling the Euro inspiring misses the important point. A currency is the relative price of two monies, so it could be that the Euro is inspiring or it could be that there is a loss of confidence in the dollar. After the last week of Fed behavior, it is more likely that the Euro has appreciated because the market is less inspired by the choices of the Fed. Most empirical evidence suggests that the Euro will have a stronger reaction to US announcements than with European economic announcements. The driver of the Euro exchange rate will always be the combination of economic behavior in both region, but the line of announcement effects usually moves from the US to the rest of the world. The dollar is declining because of bad behavior and news in the US. It is not an issue of being inspired by the European economy. Nevertheless, a growing confidence in the Euro will have strong impact on the behavior of many countries and commodities which have been tied to the dollar. For countries closely tied to the dollar, there is internal inflation. For commodities priced in dollars, there will be less impact from price rises. Non-dollar buyers are purchasing a commodity whose price is not rising as fast as in the US. Demand will not be curtailed as much as expected by looking only at the dollar price. This is an equilibrium that cannot be sustained. There will have to be further shifting away from dollar assets which will lead to further declines in the dollar. With the Canadian dollar reaching parity with the US dollar for the first time in over 30 years, there has been an increase in the number of stories about the high correlation between commodity prices and the currency increase. There is no denying the link between oil, gold and the currency, but this relationship does go through cycles. The figure shows the 30-week correlation between these three markets. The evidence clearly points to a positive relationship but there are periods of these markets having no relationship or moving in opposite directions. 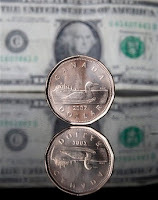 The strength of the Canadian dollar is more than just a short-term commodity play, so anyone trying to track the Canadian dollar with the movement in oil or gold will have to occasionally suffer disappointment. The cut in Interest rates by the Fed has lowered the Fed funds rate to 4.75. The two-year Treasury is at 3.99. The comparable short rate for Europe is 4.00 percent and the two year rate is 4.05 percent. There is little reason to hold dollar denominated assets from the bond side. Year to date equity performance has favored the US but when looked at on a risk adjusted basis the advantage is less. This gain for the US is all based on the reaction from the rate cut and not on improved earnings. On a forward basis, there is little advantage for holding US equities. The trend for the dollar is also not good. Simple momentum models all point to a negative trend. The value of gold has trended higher on the latest down move on the dollar. Gold still serves as a store of value during periods of higher inflation or declining dollar. While the inflation story has been weaker because the range of inflation has been relatively tight for the last decade, the demand for gold as a substitute for dollar reserves has been a growing theme There is special interest by many of the traditional dollar reserve central banks of the Middle East and China. The reserve data from the IMF does not fully support this story at this time but it has gained more discussion in many financial circles. Monetary policy is being eased even though it is well known that the dollar decline will be exacerbated. The dollar has not seen a significant volatile sell-off, so the thinking is that that the decline can be managed while trying to support domestic growth. The higher export numbers on the back of the declining dollar also support domestic growth. It is worth the chance of debasing the dollar if your objective is domestic growth. Unfortunately, there will ultimately be a financial cost with higher domestic rates. However, the financial community may prefer to take the risk of a declining dollar than be hurt with a credit woes. Last week we outlined our parenting analogy for central banks. We focused on differences in approaches to the credit crisis by the Fed, Bank of England, and the ECB. This week we found that all central banks are behaving the same. Parenting is loose with little discipline of the market. Of course, there are consequences with "tough love" central banking, but it seems like these monetary authorities are unwilling to administer tight controls. The Fed FOMC lowered rates by 50 basis points for both the Fed funds and discount rate. (I was in the camp for 25 bps on the Fed funds and 50 on the discount rate which was a more nuanced signal. This was based not on my preferences but the fact that a number of Fed officials were giving comments that were more hawkish.) The operative wording was that the Fed was acting to preempt a slowdown. Along with Fed, the Bank of England has moved away from its tough talk comments of just a few weeks ago to an announcement that they will be providing funds to help banks. So much for the tough parent. The ECB has already supported banks with added funds. It is hard to hold the line when all of the other monetary parents are lenient. The reaction was as expected. Stocks went up, led by the financial sector. Bonds on the long-end sold off and the dollar declined. Prices of commodities tied to the business cycle climbed. Of course, the hawks cannot have it both ways if the central banks took a hard-line position and we headed towards a recession. The economic data is turning down and some cut would have been necessary in 2007, but delaying the cut or making it marginal would have clarified the message that banks need to discipline themselves. In the last day, we have heard and seen three very different approaches to solving or disciplining the credit crisis. The crisis has turned into a morality play whereby the market will have to be disciplined for bad behavior and schooled in the ways of proper lending and borrowing. Left to their devises, borrowers will overindulge and lenders will push money in the hands of the weak. (Contrast the belief that bankers never allowed enough credit in the 19th century.) 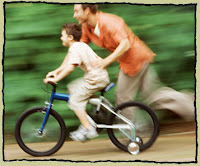 Central banks are placed in the role of being a parent to their exuberant market children. All central banks were moving to the same parenting book over the last few years through focusing on inflation targeting, but the crisis now shows closer monitoring of activities is necessary and central banks are showing distinct differences in their behavior. Contrast the Fed, Bank of England and the ECB. The Bank of England has made it emphatic that it will not supply funds to relieve the problem in the LIBOR market. Their message could not be clearer. The banks are on their own to sort out the crisis. This is “tough love” central banking. You make bad decisions and you will pay a price and live with the consequences. You cannot learn if you do not suffer the consequences of your actions however harsh. There should be no reward for bad behavior. 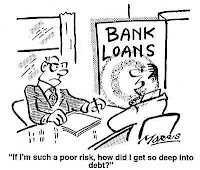 There is no moral hazard problem where the banks can expect to be bailed out by lower interest rates. The Fed, on the other hand, has supplied funds to the banking system, lowered the discount rate and has stated that it will stand ready to provide funds in case of a crisis. They are the parent that shakes their head at bad behavior but help out their children in a crisis. Their love of the banking system is unconditional or with limited conditions, a slight premium at the discount window. For the good of the family, they will help out in a crisis when necessary. The Fed understands the consequences of its actions but hope that their children will learn on their own from their poor behavior. The Fed also realizes that the action of the banks will also have consequences outside the family. You may have to take action because it is in the best interests of the community even though it reinforces the bad bank behavior. The banks know that they will get help even though it may not be forthcoming immediately. Mom and Dad, while upset with their children’s behavior, will save the day. The banks can take risks because protection is available. The Fed may talk about “tough love”, but it’s all rhetoric. The issue is whether banks will learn from their mistakes if their central bank parent bails them out. The ECB is the parent that talks tough, but still provides support in subtle ways just behind the scenes. They will explain that they have a strong stand on bad behavior. They will argue that they will change their parenting with more discipline and monitoring, but they are also willing to supply funds when necessary. They will not cave on the larger issues of controlling inflation but there is a sense that support is needed at the extremes. It’s harder for banks to get a true read on the ECB’s subtle behavior. Funding is available, but there will be punishment and closer monitoring but the long-term ECB strategy will not change. It is more situational parenting. How will the banks turn out under these different parenting schemes? Each central bank believes their parenting of the banking system will lead to the best result, yet we can never know which is best in the short-run. Teaching tough love also is problematic if in the end the financial system is harmed. However, wavering or vacillating will result in an uncertain environment where banks will not know where are their boundaries. Of course, the most important issue is how you make the financial system work in a mature fashion and not like children. We are in the height of hurricane season and weather uncertainty is driving the natural gas market. Natural gas price have bounced significantly since the last hurricane in spite of the large and growing inventories in natural gas and the relatively mild weather as measured by cooling degree days. This is to some degree a recurring price behavior pattern in natural gas. There is an increase in the market risk premium when storms form under the assumption that there will be a disruption in the natural gas market. The uncertainty is resolved when the storm passes and the risk premium is therefore reduced. The size of the risk premium will be a function of the hurricane path and intensity. Because it takes time for the hurricane to develop and for its path to be known, there is also time for the risk premium to grow and change with the features of the storm. While not smooth, the premium will develop over time. The storm premium is not dissimilar to other economic announcement effects. We have survey or expectation information which can be discounted by the market as we approach an announcement date, but price jumps will be related to the unanticipated portion of an event. Surprises cause jumps. A close look at option premium shows that implied vol usually increase around a major announcement and then recedes after the economic announcement is made. This risk premium price pattern should not be surprising. However, what is surprising is the size of the current swing. While it is hard to measure what is normal as a natural gas risk premium, the current change is a reaction to the fact that the last hurricane which hit Central America moved from a tropical storm to category 5 in a surprisingly short period of time. The warning time of the intensity was significantly shortened. The market is recalibrating its risk premium based on the information that the tracking time may be shorter for some hurricanes. Do not forget that we have just hit the peak of the season. There are still a number of major storms expected. Paul McCulley, managing director of Pimco, said there was a “run on the shadow banking system”. Financial Times columnist Tony Jackson commented in a column on August 27, 2007 "[t]he originators of risk - hedge funds, private equity, investment and commercial banks - are not in the business of holding [risk]. That job falls to investors who are prepared for the long haul." The concept of a bank run is an effective analogy for the current problems in money markets. The securitization market has become the surrogate banking system because banks have turned into “merchants of debt”. Holding loans locks in a spread with risks for a set time. There is more money in the fee business of packaging loans which turns over bank capital than holding loans. Packaging is a more efficient use of capital, but to perpetuate the fees, the banking system has to find others who take on the role of banks. This could be money funds, hedge funds, or other banks. This accessing of new funds outside the banking system created a lending bubble which carried along housing. It is not the other way around. The assets on the balance sheet of these shadow or surrogate banks are at best illiquid or at worse worthless, yet the funding source is still highly liquid. They have short maturities which have to be rolled. Money market funding is not like sticky deposits. When the “ shadow bank” misunderstands the concept of liquidity and take for granted that short-term funding can be rolled, there is a potential for crisis. This potential is realized if the funding source decides that the underlying collateral is worth less. We are seeing the results of a run with the decline in CP outstanding, but it seems as though this is being funneled back onto the bank balance sheet. The banks are playing the critical role of the “lender of last resort”. Unfortunately, there ability to play this role is limited by their capital. Yet, there has not been a significant decline in spreads. New funds cannot be attracted to fund the shadow system fast enough to lower spreads. This financial intermediation is to some degree outside the realm of the Fed, and this will be the number one policy issue for banking. How can there be placed better structure around this shadow banking system. A "kill" switch for overheated trading? Luke Jeffs –WSJ -Eurex, Europe's largest futures exchange by trading volume, will put a special "emergency stop" button on its systems beginning in November, after a surge in computer-based trading volumes raised concerns the market is becoming unstable. The German-Swiss exchange is to give its main customers -- clearing members comprising banks and brokerage firms -- the ability to block erroneous trades amid fears trading mistakes may be missed as trading volumes continue to rise. Traders have often joked about “fat fingered” mistakes with electronic trading, and we have had concerns with who is responsible for trading errors if there is a electronic problem, but a larger problem is system overload from electronic trading. The current system even with excess capacity may not be able to process all of the trades coming to an exchange on a crisis day. The actual trades are just one aspect. There is also the problem with the speed of quotes running through the pipes. The potential for trading halts because of technology failure or by the systematic halting of the trade environment is another form of liquidity risk which investors face. What are the alternatives if someone ‘pulls the plug” on what are the most liquid markets in the world? What are the alternatives for hedging if the liquid instruments cannot be employed? There is a level of irony that the most liquid markets by volume could be susceptible to unique technological and structural liquidity risks not seen in OTC markets. The problems of running orders into a pit or calling on over-used phones are still present only in a different form. Liquidity risk will be the most pressing trading problem for the next year. Of course, traders have always been concerned about liquidity, but most of this concern focuses on changing bi-ask spreads and not on system failure. The ultimate safety feature for liquidity risk is actually simple. Don’t trade the markets. This could also be the most damaging liquidity problem if investors avoid the market. One of the most important processes conducted by markets is allocating resources from areas with over supply to those areas which have high demand. The allocation is done through price and trade. Prices rise and the potential profit of moving commodities from one area o another goes up. Unfortunately, governments can interfere in this process. The latest interference is in the wheat market. Clearly, we are in an unusual market condition with wheat prices hitting all time market highs. Bad weather and low inventories are forcing prices higher, but added to this mix are changes in the tariffs on exports by leading wheat growers. We have droughts in all of the major wheat export areas and excessive rain in places like China. Inventories have been falling for years so we have hit the perfect storm for cereals. The US got a combination of drought and then too much rain. Ukraine, the sixth largest wheat exporter, s has added tariffs to wheat exports. Ukraine has seen exports soar in the last few years as it natural competitive advantage in this area has taken hold, but the current drought has destroyed the 2007 crop. Russia, the fifth largest exporter, is now contemplating a ban on cereal exports or extreme tariffs. With Australia and Canada, as leading exporters, having a bad crop year, countries are scrambling for wheat and now they may not get it from some normal sources. This places more price pressure on the US, the largest exporter, at a time when the world needs a smooth allocation of food resources. It is unlikely we are going to see wheat price drop like we saw earlier this year for corn. Of course, it is normal to protect food supply for your citizens, but this prohibitive sand in the wheel of trade only causes more market distortion to the world market. We are moving back to mercantilist policies for grains. Agriculture policy will see renewed focus and add government export policy uncertainty to the lists of risks in commodities. The market is looking for clear signs of what the Fed will do in the coming months in response to the deteriorating housing market. Unfortunately, the signs of what can be done to deal with a housing slide are poor. While the Fed funds futures is pricing with certainty that the Fed will cut at least 25 bps in September, it is not clear what will happen over the longer-run. The important question is what the Fed is thinking about housing. Put differently, what is the Fed reaction function to factors other than inflation and growth? The uncertainty concerning housing and the Fed is actually threefold. First, the link between housing and economic growth is unclear. Second the link the between monetary policy and housing is also unclear. Third, it is unclear what help the Fed wants to give. We do not have much to go on from reading Fed minutes and because the housing crisis is a special situation we do not have past precedent on what the Fed will do. Comments from Chairman Bernanke have been mixed. Up until recently, wording has focused on inflation and that the Fed would not bail-out market sectors or change their behavior because of loses by some investors. However, the August credit crisis changed everything. The Fed was willing to provide liquidity and the Chairman has commented that the Fed stands ready to provide liquidity in a crisis; however, the issue of how the Fed will deal with the root cause, the housing market slide, has been more uncertain. After the Jackson Hole conference, we do have new insight on what the Fed is thinking through the research paper, “Housing and the Monetary Transmission Mechanism” by Frederic Mishkin. Given his position in the Fed, this is an influential paper. 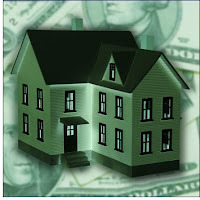 He provides a long discussion on the link between housing and monetary transmission. He works through the impact of rate changes and changes in user costs, housing appreciation, supply, wealth effects, and the credit channel. Acknowledging that the transmission mechanism is uncertain, he shows that the impact on housing from a change in monetary policy can be significant relative to its overall size in the economy. The high level of uncertainty is associated with the variable wealth effect between the value of housing and a consumer’s willingness to spend. The uncertainty link means that the Fed cannot truly anticipate what will happen if there is a prolonged and significant decrease in housing prices. Given this uncertainty, the reaction for the Fed to stabilize the economy from a deep decline in housing would have to be a sustained decline in interest rates. Since the link between a change in rates and housing is uncertain, the decrease in rates would have to strong and occur quickly to address a potential decline in growth. A weak response will have limited impact. This paper provides the best current thinking by the Fed on housing and monetary policy, yet it has some troubling conclusions. We do not know what will be the impact on the overall economy from a sustain fall in housing prices. We are not sure what the Fed could do other than that it will require a significant decline in rates to change a declining price path. This does not even address the question whether the Fed has the resolve to cut rates dramatically. Nevertheless, extrapolating from this paper suggests that we may see deep rate cuts to address a worsening problem. Recent research on trend breaks is suggestive of the relationship between trends and other macro fundamentals. Trends in price should be related to the trends in the underlying economics that drive prices. For example, if there is a rise in inflation over time, there will be a rise in interest rates. Both will trend together. Of course, there will be noise in the relationship and the link may not be one for one but these trends are linked. This is the basis for much of the work on financial econometrics through cointegration; however, it has not been explicitly analyzed through tracking trends and breaks. Because asset markets do not always trend in one direction, work in finding trend break and links with other markets is very relevant. Consequently, it is interesting to see some researchers start to examine price trend behavior in simple frameworks. See “Dating Breaks in Exchange Rates” D.V.O'Toole, School of Finance & Economics, University of Technology Sydney July 2006 for the latest work. There are two stylized facts about trends and exchange rates. One, there are long swings in exchange rates. While short-term rates have often shown random behavior, exchange rates over the longer-run of a year seem to have trend swings. The dollar can go through long periods of appreciation and then depreciation. Two, there are breaks in these trends. After a period, a long swing will see a dramatic change. However, there does not seem to be any particular reason for this change which is associated with the length of the trend or the time in a trend. As expressed by the leading econometrician, P.C.B.Phillips "No-one really understands trends, even though most of us see trends when we look at economic data." Trend identification is still often in the eyes of the beholder. O’Toole uses some new techniques for finding trends and determining price breaks. This work shows marked improvement over previous work of looking for structural trend breaks in exchange rates. However, O’Toole takes his work to the next level by trying to find a reason for the price breaks in the long trends. He theorizes that trend breaks are related to interest rate shocks. He examines trend behavior in interest rates and finds the break points in these rate series. He then compares the breaks for exchange rates with interest rates and makes to key observation that these breaks come at similar times. This suggests that interest rate shock or changes in the direction of interest rates are related to breaks in exchange rates. This work is done without any assumption on theory of exchange rates which makes it all the more promising. More research is needed but this provides a link between trends which has not been previously explored. Following price trend could be improved through relating to trends in related markets. A shock in these related markets may be the cause for a break in the long-term trends in exchange rates. It is simple, but has good intuitive appeal. Investment banks need to restore investor confidence by making a concerted effort to reveal the full extent of any losses arising from the credit market turmoil, Josef Ackermann, chief executive of Deutsche Bank, has urged. What has been a major issue with the credit crisis has been the uncertainty of the problem. How big is it and where is it held? This may fall into the definition of Knightian uncertainty. There are subtle differences in definition, but risk is usually defined as probabilities that are measurable. If we know the structure of a CDO, we should be able to determine its risk through some form of scenario analysis and stress testing. This may provide some insight on the level of potential loses. However, the real uncertainty with this crisis is not knowing who is holding the sub-prime paper. This is uncertainty that is not measurable and is what the market is reacting to. You cannot discuss the risk because you do not know whether a given institution has the problem. This is not a matter of trust but an issue of information. The faster this information is put in the hands of investors, the better off the market will be. Of course, this process will identify winners and losers and this is exactly what the losers (large sub-prime holders) do not want to have happen. What is curious is why more institutions have not declared their holdings in CDO’s and sub-prime loans beyond what may be required. There may be a place for government to help eliminate this externality. The employment number came in lower than expected. This was a decline for the first time in four years is not a good economic sign. This slowdown should have been expected regardless of the surprise in the magnitude of the employment number. The economy is slowing based on the housing market problem and the credit contraction. However, the size of the sub-prime problem while not trivial is not large relative to the overall size of the mortgage market. The problems are manageable and containable if left to being just a sub-prime problem. Put differently, it is really hard to push the US market into a recession. Nevertheless, the chances in the near-term of a false positive are high. We can shave off points from the growth rate but to meet the criteria of sustained negative GDP is not easy. There is almost a simple 3% rule. The US economy will grow at 3% plus or minus 3% growth. So maybe we have to set a new standard for a recession relative to what is used by the NBER . One problem with recession dating is that it occurs after the fact. The NBER committee will set the date for the recession but it is not done in real-time. This does not mean that we will not have further slowdown. This also does not mean that asset prices will not be affected, but we have to be careful on the terms being used. A recession has not begun. The link between macro economic variables and asset prices is not always tight and what may be more important is the momentum of these numbers not the absolute level. We do not need a recession to see more volatile markets. While I am not positive on the direction of the economy, the process of how we get there will take longer than expected and will not be obvious. The problems are real but have not fully manifested in economic growth. We will have to wait for our recession so we should hold-off on pronouncing its arrival. The wheat market has gone crazy this season even though most of the talk was about corn and ethanol demand in the Spring. The strong rally this year has taken wheat prices to levels we have not seen in 35 years. The price of the nearby contract is no higher than what was found during the “great grain robbery” of the early 1970’s. This has happened with little fanfare outside of the commodity industry. The combination of two events have driven the price o these levels. One, the ending stock levels for world wheat are low. The chart shows levels on the low end but we are not at extremes in the world market as the last report, (August 10). However, the US, the largest wheat exporter is showing numbers which are at extremes, (August29). Note that these numbers are not adjusted for the greater demand. The marginal supplier of wheat, the US, may not have much to export. This alone should drive prices higher, but the combination of weather has made matters worse. Australia continues to have a drought which caused crop estimates to be revised downward. As another large exporter, a drought with their crop will affect th world market. There will be less grain available. This combination of low inventory and bad weather has forced price up to such high levels. Time to stop thinking ”smart” like a bond guy? The last month has caused a warranted fixation on the credit crisis and the housing market. Problems with credit-worthiness and liquidity have been paramount across all of the fixed income and currency markets. In spite of all the problems, equity markets performed rather well for the month. Once again equity managers saw a glass half-filled as optimists while fixed income guys were pessimists with the glass half empty. These are personality traits that seem to be engrained in the professionals of each asset class. So who is right? Perhaps neither. I got some advice from the Lam Group, a wealth advisor out of Portland Oregon. He is not overly optimistic but also not willing to succumb to a sky is falling mentality. He referred me to some wisdom from Ben Stein. Ben makes a very good case for simplicity. In an attempt to act “smart” or have the “illusion of control” we believe that we have to take some action. We read about what is going on in the financial world and that news is a signal for us to do something. The need for action should be based on the asset class and the situation. For money markets, action was needed immediately. For equities, it may still be early for major changes in allocations. The key is to avoid taking action for the sake of action. An attempt to do something during periods of maximum uncertainty makes you feel in control but may have negative consequences. Being smart does not mean having to do something. Nevertheless, being a bond guy, I want to protect principal and find cover. A liquidity crisis and contagion will have a mind all its own. This is a commentary written in July 1998 by analysts at Green Street Advisors, the independent property share research company in California. One of the best presentations at the Kansas City Fed Jackson Hole conference was presented by Ed Leamer of UCLA. Ed is a very thoughtful empiricist and has provided useful work in many areas of economics. His presentation is funny as well as insightful. Is premise is very simple. A decline in housing has preceded almost all of recessions in the United States. Eight of the ten recessions were preceded by sustained and substantial problems in housing, and there was a more minor problem in housing prior to the 2001recession. The one clear exception was the 1953 recession, which commenced without problems from housing. The following chart was part of the Leamer presentation. It shows the behavior of the housing market before a recession normalized. In most cases housing slowed before a recession. This is not the case for many other factors in the economy. The current decline is following the same pattern but is actually steeper. His conclusion from this stylized fact is that a housing market decline will have spill-over to other markets and ultimately affect consumer spending. It is not a price problem but one of turn-over. The reason housing is so important in recessions is that homes have a volume cycle, not a price cycle. He provides a vivid and comical analogy. Men do not want to get a lower price than their neighbors and women fall in love with their homes and not willing to part with them at prices lower than expectations. Housing hormones, both estrogen and testosterone, make owners very unwilling to sell into a weak market and that unwillingness tends to keep the prices of homes actually sold high while greatly reducing the volumes of homes sold. What we observe are not market prices but sellers’ prices. His conclusion is that we are headed for a recession and the Fed helped the process with their past actions. Lowering short rates to below 1 percent was the ultimate teaser rate and that pushed a recession problem from 2003-04 to 2007-08. Of course actions today may avert a recession, but the Leamer story is compelling. The housing and credit issues are all tied together, but housing may be a more important driver for growth than the liquidity event of August. Why is US housing market so important for foreign exchange and commodity markets? The US housing market is connected to the global economy in ways not anticipated a decade ago, so a focus on housing markets is a must for understanding the current global financial environment. This is a current special case because housing is usually not included in macro models of exchange rates. The impact of housing on exchange rates is usually indirect through the growth of the economy or through monetary policy, but the size of the current lending crisis makes it important to have an understanding of the ramifications on credit markets from a decline in housing. The importance on the global financial markets is threefold. One, housing declines are linked with slowdowns in economic growth. It has usually been the case that recessions have been preceded by a slowdown in housing. While this does not happen in all cases, housing seems to be a leading indicator of an overall economic slowdown. If there is a weak housing market, there will be a corresponding slowdown in consumer spending. A slowdown in growth will negatively affect commodity prices and will have an impact on relative growth across countries which will lead to changes in the exchange rates. Two, the securitization of sub-prime mortgages has distributed the credit problems of one country to other parts of the world. It has recently been announced that Chinese banks are holding large sums of CDO’s which are connected to the housing market. While these CDO’s are generally highly rated, their credit problems are dispersed to a wider range of buyers than would be the case if there was only domestic distribution. A global credit crunch can mean that there will be a tightening of lending standards all over the world as a reaction to this housing problem. Three, the US is not the only place that may have housing woes. The rise in housing real estate in Europe has matched or exceeded the growth in the United States. The housing bubble of investors buying real assets as a response to the large sums of liquidity in the global economy means that a global tightening of credit could affect consumers in the entire developed world. This may be the contagion which could be a lot worse than the simple liquidity crisis of some structured products. Getting back to normal in the Fed funds market? Watching the Fed funds rate during this credit crisis is a good way of determining whether the banking system is getting back to normal. It also provides good information on what the Fed is actually doing not just what they say they are doing. Actions speak loader than words. During most of the credit crunch crisis in August, the Fed fund actually trade below its target. The graph shows the high, low and close of the Fed funds rate since the beginning of the year. The range stays very close to the target during normal times. We can call the behavior of the Fed funds relative to the target, a shadow or stealth cut in interest rates. There was no announcement but the Fed was willing to supply credit to the banking system which drove down rates. They were a significant supplier of liquidity separate from the discount rate action. The system seems to be moving back to normal with the range of the fed funds closer to the target, but the question is whether the stealth cut will be made more explicit through an announced change in the target rate. With the stock market up and the economy seeming to be moving along nicely, there is less reason to make a target rate change permanent. The stealth cut worked and still leaves the fed with alternatives. One of the major government middle class policies since the Depression has been the promotion of home ownership. A rally cry from any presidential candidate has been that we have to help the “little guy” own a home. Renting is not good for America. When home ownership increases, policy makers state that we are doing something right. When ownership falls, or the affordability index declines, there is something going wrong in America. Public policy has set up programs to help funnel capital to the housing market. The boom in securitization started with the mortgage markets. With the big mortgage organization, Fannie Mae and Freddie Mac controlling the confirming market, private firms developed innovative lending programs. The growth was in non-conforming lending and one of the key ways to access financing was through structuring deals. You had to find those willing to take systematic housing risk. So we got what we wanted, more ownership across the board, even for those that could not afford the normal terms of ownership. No one was arguing that banks should tighten lending standards. In fact, they did not have to if they were selling off the loans in packages. Policy-makers liked and wanted affordability and securitization was going to make this happen. The boom was in adjustable rate mortgages under the assumption that price would rise faster than interest rates. If the yield curve inverted, borrowers would move to fixed mortgages. Even Alan Greenspan extolled the virtues of adjustable rate mortgages. I am not arguing against the housing policy of home ownership. It has been good for America, but with many policies the law of unintended consequences takes over. Let's get affordability for everyone. But what is the measure of success for housing in America? From the concept of housing affordability came the root of the current problem. The issue is what to do to get out of this mess. While the stock market ended on a high note, we are far from over with the problem of housing.